We empower our clients with the knowledge, tools, and resources needed to be financially successful. 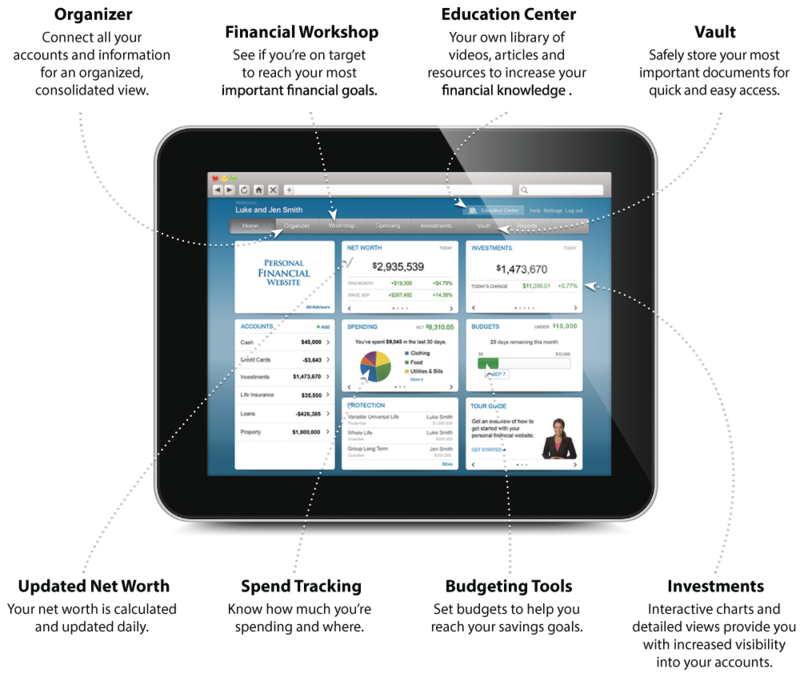 This service enables you to create your own personal financial website incorporating all aspects of your financial world. There are six powerful modules that will help provide clarity and control to your financial world. We ensure everyone has the necessary information and support to optimize this powerful tool. Accordingly, we provide best practices, tips of the month, and educational seminars to achieve this goal. We are confident the experience, support, and knowledge of our team along with the capabilities of this tool will create a new, more pleasant financial experience. Each team member at RWS Financial has their own personal financial website, contact us for additional information.